The kitchen is among the most useful and important areas of a house. To achieve the beauty, convenience and elegance you need for a home, you need to ensure that the kitchen is properly designed and arranged. 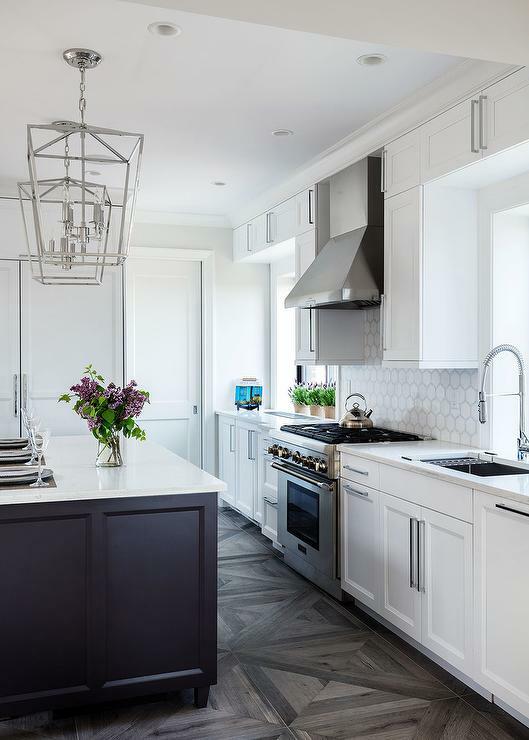 In most cases, people face difficulties trying to arrange their kitchen appliances because the space might be too small to fit all their items. This happens mostly when you move from one house to another, because there are many kitchen shapes and designs. A good kitchen must be neat and have the right kind of decoration to match with the theme of the house. There are many decoration ideas to choose from, and you can always consult experts whenever you have problems. Below are some tips to help you understand how successful people make the most of their kitchen. The kind of details that go to a wall have a lot of effect on the creation of space and beauty of a kitchen. You can use kitchen walls to hang some of your utensils, which will save you a lot of space. Hanging items have to be neat so that they do not appear out of place. You can add some beauty to your kitchen walls by using decorative painting to eliminate the monotony of empty walls. There are wallpaper covers offered in the market today to match any kitchen design. You can also consider a professional painter to help you with the designs. One of the things that homeowners cannot avoid is buying new utensils and kitchen appliances every now and then. This means that your kitchen space will be stretched to its limit within a short time. You can create space for the new utensils by installing shelves to store the extra items. Remember to always consider high quality shelves that are strong and attractive. Do not forego the beauty of your kitchen for a bigger space, so you need to have the right shelves installed. Recent developments have seen the introduction of savvy shelving, which includes shelves that can be accessed from two sides. Such shelves are stylish, and they allow light to pass through perfectly. It is always good to try new designs that will make your space unique. Keeping your kitchen organized means keeping excess items out of the way. You need to identify the utensils or items that you rarely use in your kitchen. Safely pack such items in boxes to create more space for movement. Always ensure that delicate items are kept in boxes that are capable of protecting breakage upon impact. Do not leave your cleaners all over your working space. Leaving your cleaners everywhere makes the kitchen look untidy and disorganized. Consider inserting a rod under the kitchen sink to hold your cleaners or towels. This will make the space look neat and it will also make things easier whenever you are trying to locate the cleaners. We all need recipe books to prepare those meals that we like. Considering how messy a kitchen can be, it is always important to keep books and other water-resistant items in the right place. You can make things easier by creating a wall shelf where all your recipe books will be stored. Arrange your books in a neat way to make the kitchen more presentable. This shelf will save more space for you and also encourage you to get more recipes to prepare for your loved ones. Unlike the traditional knife holders, the use of magnetic strips has come to create more elegance and beauty in the kitchen. This strip holds the knives or other metallic utensils in place, hence adding a contemporary detail to your space. Always ensure that you buy magnetic strips from reliable manufacturers to ensure longevity and efficiency in use. Most traditional kitchen cabinets were constructed with doors and not drawers. While cabinet doors might look equally effective as the drawers, you will be surprised at the many benefits of using drawers. Drawers save you more space whenever you are opening them, making it easier to get the item you want without displacing other items or people. You also get more storage space when you use drawers instead of doors. Besides the details in your kitchen area, you can make the look better by having some quality window shutters. You need to complement the beauty of your kitchen with some great looking windows. Visit https://www.s-craft.co.uk/ to get the assistance of a quality plantation shutter company. 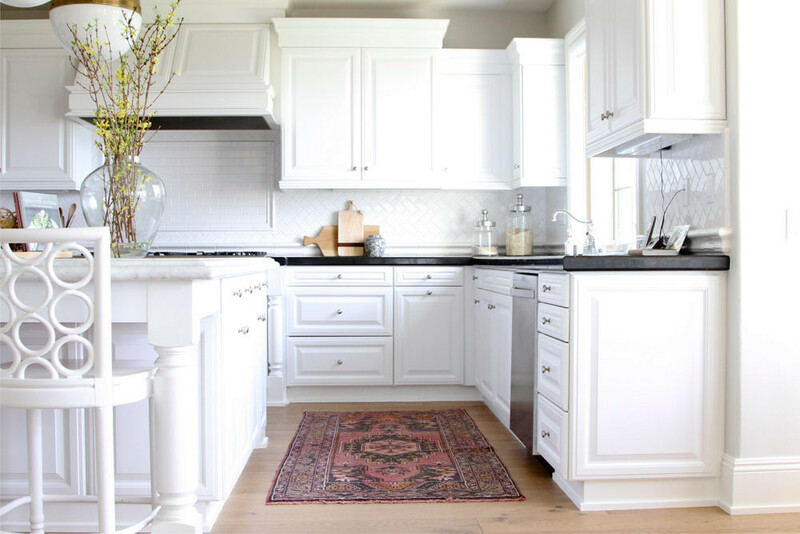 The most crucial step in creating a presentable kitchen is by assessing the areas that need some improvement. Even if there are those items that you have sentimental attachment but they are not useful, you might have to let go to create more space. Most homeowners have many utensils in the cooking area that are not useful at all. You need to think about substituting such items with those that you use on a daily basis. You also need to identify duplicate items that lay idle in your space without much help. Obsolete and broken items must also be eliminated because all they do is make your kitchen look congested and untidy. Most of us enjoy having the biggest appliances due to the notion that bigger is always better. However, this notion is not true when it comes to kitchen appliances. 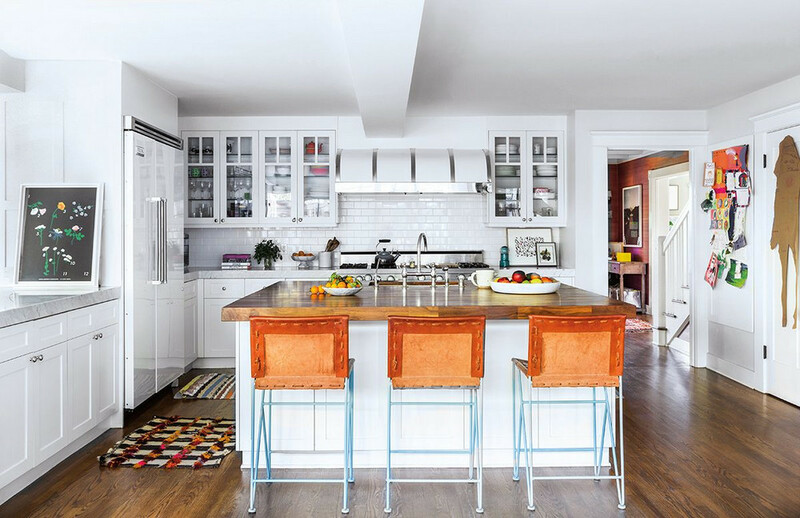 You need to purchase items that fit well, according to the size of your kitchen. One of the best ways to ensure that you do not buy the wrong size of items is by planning in advance. You can take the measurements of new kitchen before you think of buying the appliances. This will ensure that everything fits well in its place and that you do not knock on items whenever you are walking around. The good thing about kitchen appliances is that they come in different ranges of colors and designs. If you have a specific theme for your kitchen, always ensure that the kind of appliances you purchase also rhyme with the surrounding. For instance, buying a white fridge, a black oven and a gray microwave will make your space looking disorganized. Make the right color choices for a more organized and sophisticated look. Some of the staples such as dry goods and canned food can be stored away from your kitchen. 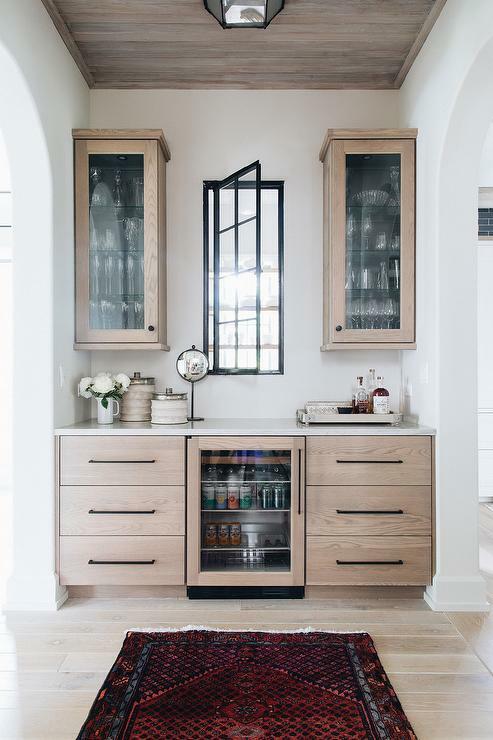 Although it is a norm to keep all your foods in your kitchen for hygiene and easy access, your kitchen space might be limited. You need to look for a clean storage within the house, which will hold the dry foods whenever you have stocked a lot in the house. This will mean a neater and more organized working space in your kitchen. Not all houses are big enough to have kitchen space and a dining table. This means that you have to improvise with what you have to make your stay comfortable and more fulfilling. You can use the eat-in kitchen table for meal times, which will create more fun and save space for you. Having a well-lit kitchen can make it look more sophisticated and attractive. 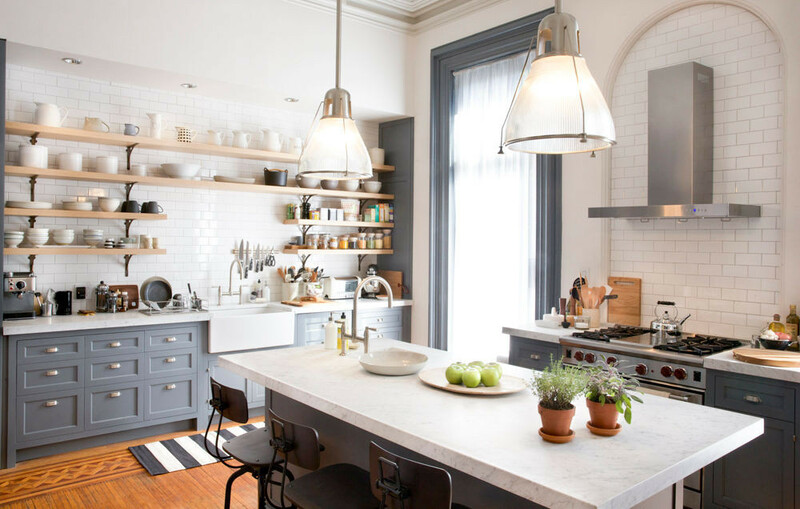 Whether your kitchen has a high or a low ceiling, there are different types of lighting that you can use to make it more attractive. You do not have to stick to the ordinary bulbs that are in most kitchens. Instead, look for some cool color bulbs that create enough light yet present a unique look and feeling to your kitchen space. Considering the many items that need to be stored in the kitchen, having a portable working station can work wonders. You need enough space to do all your cooking or washing, which means that just using the kitchen sink and table might not be enough. Improvise by coming up with a moveable working area that you can remove after you are done with your kitchen duties. Installing some beautiful and durable countertops some unique details to your kitchen. There are numerous countertop designs in the market today that are affordable and very attractive. This will ensure that you have a quality finish to your kitchen, which will blend with the rest of the appliances or shelves. Quality countertops not only add beauty to your space, but they also make cleaning easier. You will be able to easily clean the mess after cooking, which will save you time and energy. Taking note of the above tips will help you achieve great success for your kitchen. You can consult experts if you have any doubt with the kind of design you want for your kitchen. Thanks to S Craft for collaborating with us on this post! Putting shelves up in the kitchen is such an easy way to create a whole new look. You can switch out the items on the shelves along with the seasons. I’m inspired to put shelves up in the kitchen now.